The aftershocks of a series of major world events, including Brexit and the US election result, are threatening the concept of globalisation, which in turn is unsettling the cross-border trusts and corporate services sector, a new report from Vistra, the Hong Kong-based corporate services provider, has found. The report, Vistra 2020: The Uncertainty Principal, highlights the collective impact of major events involving global geopolitics, technology and regulation. The report is the latest in a series of annual reports Vistra began producing seven years ago. This year’s edition is based on information provided by respondents from a wide range of industry sectors, who were asked to share their experiences and views on the current state of the trusts and corporate services industry and its future, Vistra said, in a statement unveiling the report. The Vistra 2020 report is compiled from almost 600 interviews, close to double the number who participated in Vistra’s previous annual reports, and also represented a broader geographical span. 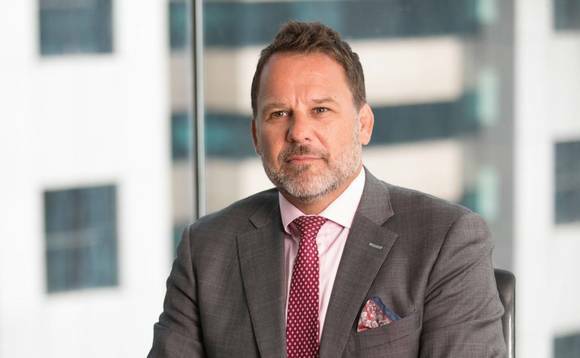 Jonathon Clifton, group managing director of Vistra’s company formation division of Vistra (pictured above), said the Vistra 2020 report found that “significant shifts surrounding the industry have been witnessed globally, causing a feeling of consistency to give way to uncertainty”. “Globalisation has felt the effects of this considerably, and is slightly under threat, according to [more than] 70% of respondents,” he added. “Large-scale globalisation dates back to the late 19th century, and has underpinned economic growth across the globe since this time. According to the Vistra report, the anti-globalisation sentiment has been gradually strengthening, as events have occurred in succession: the result of last year’s UK referendum in favour of leaving the European Union was an important factor; then came the US election, with Donald Trump’s signature vow to build a wall to keep out immigrants from Mexico and Central and South America; elswhere in Europe, meanwhile, the steady rise in the popularity of such anti-globalisation political figures as Geert Wilders and Marine Le Pen have signaled a populist movement in the direction of more closed economies. However, Vistra warns, such anti-globalisation sentiments not only threaten the trusts and corporate services industry, but could also lead to more regulations that in turn will hinder cross-border flows. In fact, Clifton notes, regulations and initiatives aimed at increasing transparency are already sweeping across the industry. “Dozens of countries will soon have to follow the Common Reporting Standard, with several other regulatory changes already putting downward pressure on the industry,” he said. “As [such] new regulation is introduced, with the intent to create complete transparency in the industry, we all experience an erosion of privacy. Meanwhile, even as the world is moving inexorably and with apparent public backing in the direction of ever greater transparency, the Vistra 2020 report finds, notes, and the days of being able to assure clients that their privacy would be assured are long gone, privacy nevertheless emerges, still, as a leading business driver. Then there’s fintech, which the Vistra 2020 report says the industry is becoming increasingly dependent on, even as technology is one of the main drivers in putting privacy at risk. Close to 60% of those whom the Vistra 2020 report’s researchers surveyed said they believed that by 2020, technology would have disrupted the industry with innovation that would lower costs while fundamentally changing business models, Vistra said. To read and download the Vistra 2020 report, click here.